Our reported Ava Thorpe shares her experience of the day. Hello staff, parents and students. 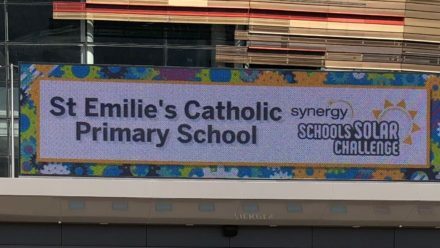 St Emilie’s have been to the grand final of the Synergy Schools Solar Car Challenge at Optus stadium on the 9th of April 2019. We went in a maxi taxi at 9:00am. We were all feeling very excited and nervous about the day ahead. We arrived there at 9:30am and after we got signed in, we found our table and had a look at our equipment. At this point we were quite excited but nervous. We hoped our car would be good on the day. We went through our box to make sure we had everything. At 9:45am we got prepared for the building process. We went outside and had a look at the track to see what it was like. By 10:17am and we were ready to start the building process scheduled for 10:30am and at this stage we were so super nervous about today’s challenge. We started off well and first we took out our supplies. First Sophia E and Jacob put the guide pins in. Sophia C, Sophia E and Jacob put the axel and the wheels into the chassis. Jack attached the wires to the motor and switch. Jack also attached the alligator clips to the wires so it could connect. Everyone helped to put the gears into the wheels. We placed the spacers into the axels to make the wheels run more smoothly. Then we attached the cable ties to the switch to hold the switch in place. We exchanged the small wheels for all big wheels. We kept the solar panel in the shade. We decided to elevate the solar panel a little bit so we could get more sun. Attaching the solar panel was a bit harder than it looked. Jack and Jacob also attached the battery pack in case it was too cloudy for the solar panel. It was a hot day but thankfully was also a sunny day. Placing the wires on the alligator clips was very hard to do. Once completed we went outside to test drive it. Our car wasn’t going fast enough. Our average time for 20 metres was 8 seconds. We were confused with what was going on with our car. 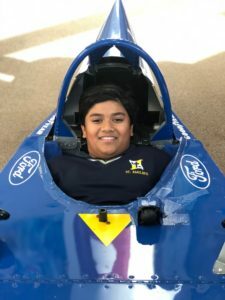 We spent the time trying to figure out what was wrong with our car by giving it a few more test drives. We got the time down to 7 seconds. Our car improved. 7 news were there recording our challenge. We thought we could work out what was wrong with our car. We placed the solar panel in the exact same spot as before and put the small wheels back on. We put double sided tape on the wheels to make it sort of stick. It did the trick last time, so we have high hopes for this time. By 11:16am we were happy with our car and have we have come up with a name for our car. We named it ‘Weapon’. We polished up our car to make it the best we could. We did one more try for good measure. Our car was really slow. There were only 19 minutes left until the races start. There was so much going on! At 11:30am we went to get some morning tea and we had a chocolate muffin. There are 5 minutes left of the building process. At 11:40am we went outside to start racing and we were really excited. We were in round 3 and we were versing Huntingdale PS and Amaroo PS. On both races we came second and on the third race we came third. Thankfully we were into the next round. We fixed our car and it was performing better. On the next round we were versing Amaroo and Bunbury. On the first race it was a false start on the second race we came third. On the third race we had another false start. We did not go on to the next challenge. The best place we could achieve was either fifth or sixth. We did one more race and we came 6th place. After the award ceremony a drone flew over us and took photos and videos. 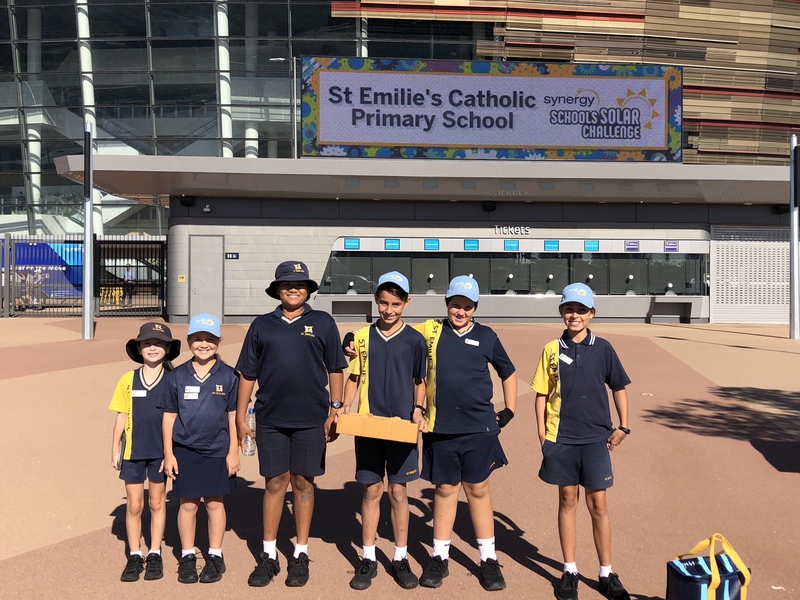 The school that won was Amaroo PS but overall we had an amazing time and everyone who participated should be very proud. 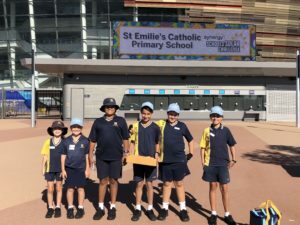 Even though we didn’t win, we were the first year sixes to get in the grand final from St Emilie’s CPS. 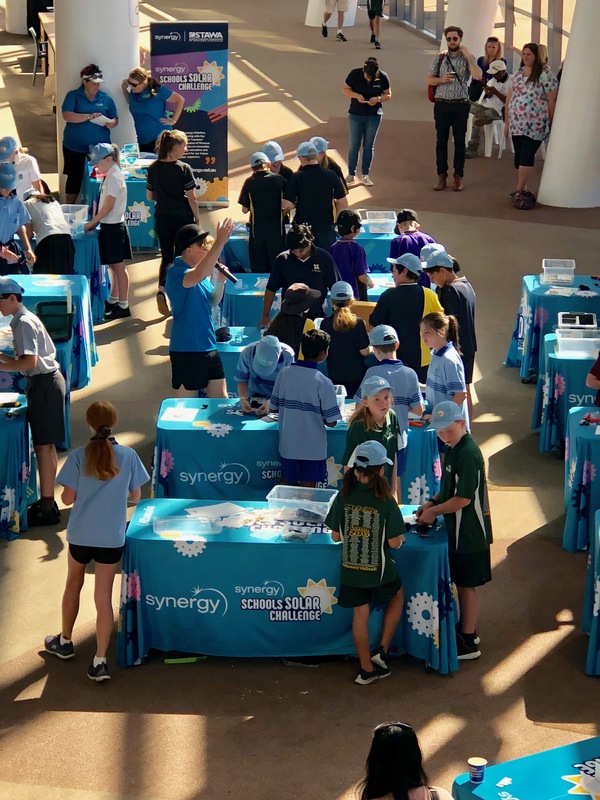 Thank you for reading and thank you Optus stadium, Synergy and STAWA for having us. We really appreciated it. Also thank you Mrs Andrews and Mrs Cogger for coming on this amazing journey with us. Thank you parents and everyone who came to support us. Goodbye and thank you so much for having a chance to read this amazing journey and opportunity for us. Here is a video recorded and put together by Jayden Victor.